We love dogs in our pubs - they make a pub a pub. 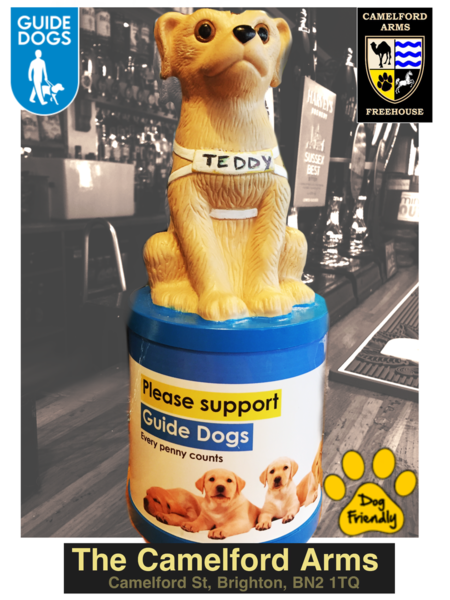 So what better way to spread the love than to Sponsor the Training of a Guide Dog? Teddy is currently at School, learning the skills needed to transform someone's life. Training takes about 2 years for the dog (including about 9 months of training with the new owner). - It costs £5 per day to support each working Guide Dog partnership? - The lifetime cost of a Guide Dog is around £55,000? - There are currently around 5,000 Guide Dog Owners in the UK? We are one of many Sponsors of Teddy, and we look forward to posting updates on him as his training progresses. 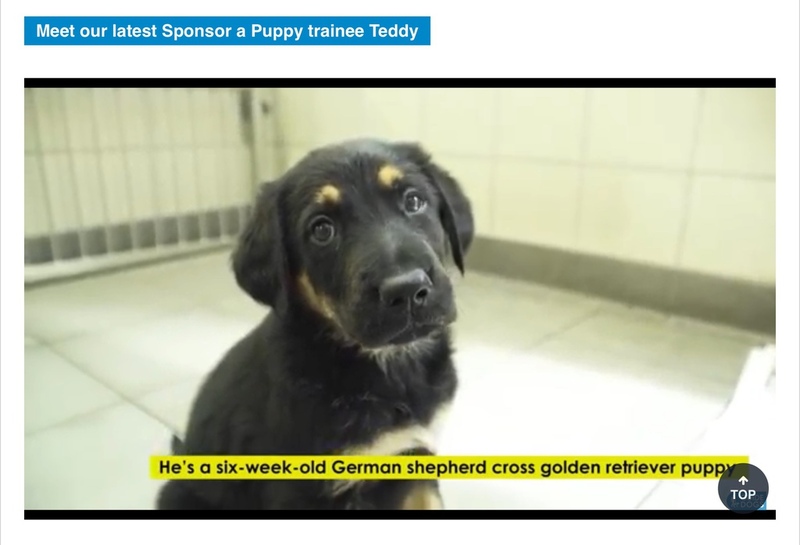 If you are also interested in Sponsoring A Puppy (or co-sponsoring Teddy) then please go to The Guide Dogs webside www.guidedogs.org.uk for more details as to how to do so. Alternatively drop any change into our collecting tin on our bar, or attend the Quiz Nights and other Fund Raisers we will be hosting over the next few years. We love dogs, so we are Sponsoring this pup as he trains to be a Guide Dog. Visit Teddy's Page for more details. Pub Quiz Night every Thursday from 9pm.